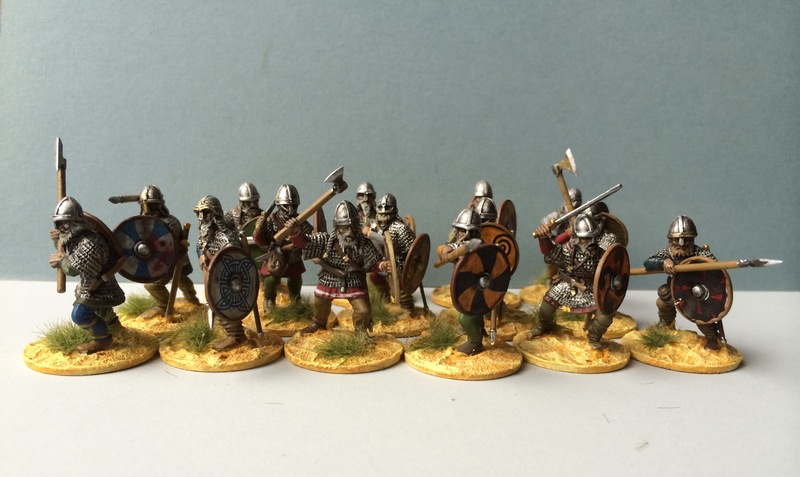 Discussing the new version of the DBA ancients rules with a colleague led into how he’d always wanted a hoplite army. Given I’d always fancied wargaming the invasion of Greece by Xerxes in 480 BC before we knew it we are planning armies. We agreed on larger figures simply because Tony was keen on them and plastic ranges make such an ambition affordable. I certainly wouldn’t have agreed to get a 25/28mm size Persian army in metal as with all the cavalry and hordes it would cost a small fortune! Having settled on DBA I looked at the Early Achaemenid list. Double bases for the Immortals and sparabara infantry increased the body count but using light infantry instead of hordes reduced it. Well, reduced by a small amount! Once I had worked out what I needed I looked at the Wargames Factory range of Persians. Happily they cover all the troop types I needed and I set about planning the figures I needed. I then got a bit too enthusiastic and decided only Big Battle DBA would do justice to the battles of 480-479 BC. Some thinking later and I produced the army and list of figures needed at the end of this post. The number of figures was slightly daunting but having more time at home because of a health problem meant I had time to assemble them. 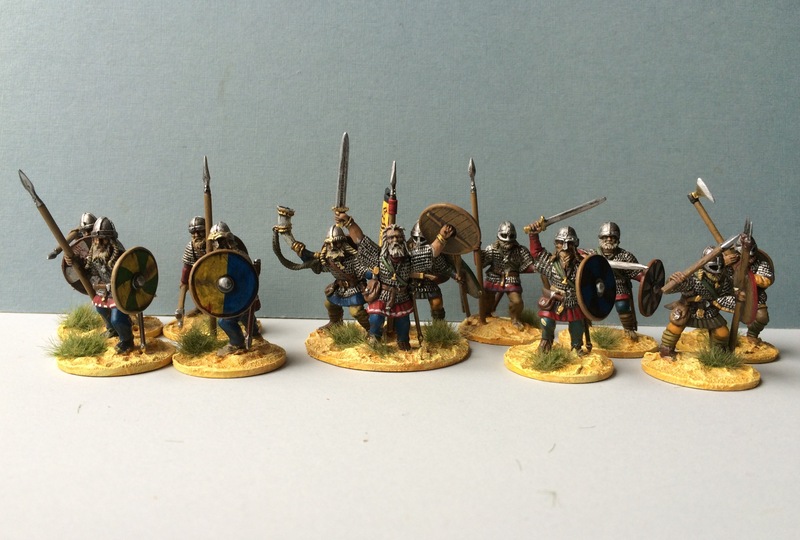 In the course of thinking about the army I used the usual references for wargamers from Duncan Head’s book on the Persians to Field of Glory army lists. Plus this made a great excuse to buy Tom Holland’s new translation of Herodotus! Happily I found some boxes on eBay and then North Star Figures had a sale of Wargames Factory at the right moment. Even so I found after much sorting out and assembling of figures more were needed! 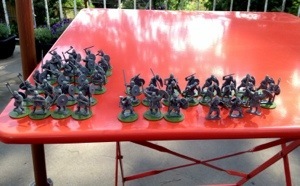 Caliver Books provided my last recruits so it was just planning how to paint them. Whilst the Wargames Factory Persians are not the finest figures on the market they provide the basis for a good paint job. I realised if I did that painting my miniature Persians would take longer than the campaign lasted! So I decided to go for the good old block colours and brown varnish technique. This is also known as “the dip” method as marketed by the Army Painter company. I use a similar approach of painting in the basic colours in almost toy soldier style. I let them dry completely and then apply a coat of Ronseal acrylic varnish with a brown stain in it. Using lighter colours than you usually would helps the varnish stain combination do its work. The stain varnish combination provides instant shading and looks ok on the gaming table. 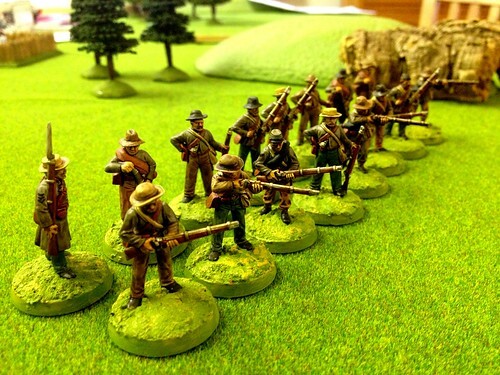 A bit crude for 28mm size figures perhaps but gets them on the table. Having decided on the Saga rules and Gripping Beast plastic figures for tabletop Dark Ages fun the first force is complete! For anyone interested in my painting approach I kept it simple. An undercoat of Humbrol Matt brown 98 To provide shadow and good surface for paint to key onto. Vallejo extra opaque and Citadel base colours are used to give a one coat finish. This meant colours had to reasonably work with the brown undercoat providing shading. Metal was Citadel metallics with a black wash then highlights (chainmail, Nuln oil and Mithril silver respectively). Finish was Humbrol satin varnish followed by Windsor and Newton Matt acrylic varnish. Shields and flags were mainly ready made. 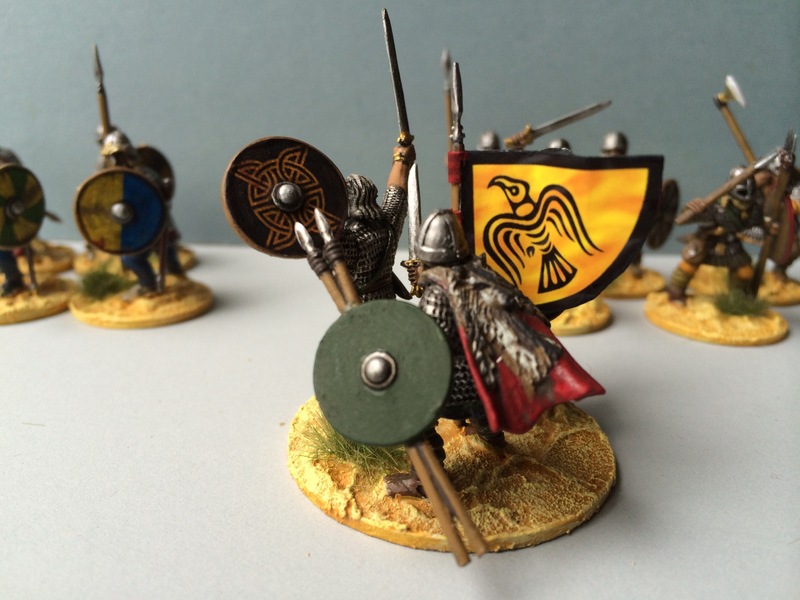 I painted the shields on the two warrior units and used transfers from Battle Flag on the rest. Cutting out shield bosses was made easy by buying a 3mm diameter punch. Using the transfers was straightforward but do follow the instructions. Using a transfer softener and sealing with varnish is a must. Having a practice first is a good idea too! 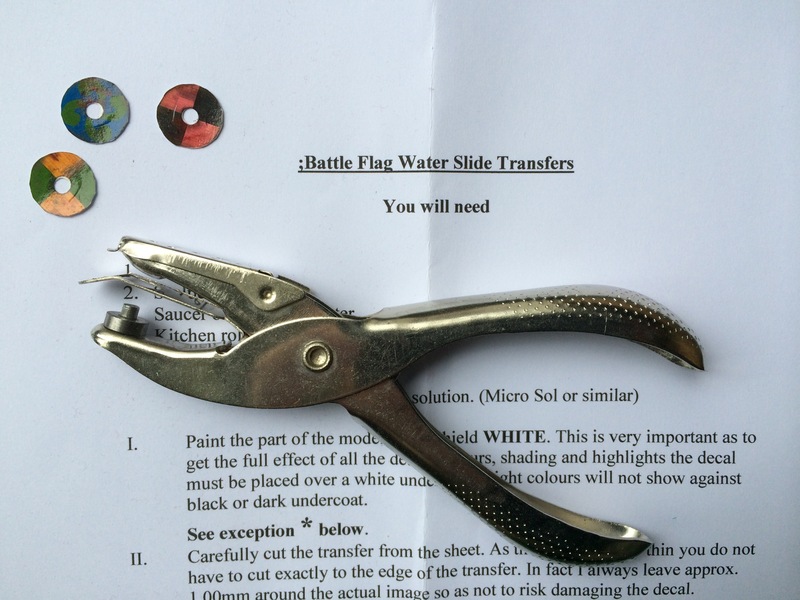 Flags are from the figures instruction sheet and the transfer sheet. Cut out and then stuck together with diluted PVA. Bases are to match my old Standard Games boards. Simply Vallejo texture paint highlighted with various craft shop acrylics. Some Silfl0r tufts added with PVA to finish the bases. In case I decide to use these figures with another rule set I made up some extras. 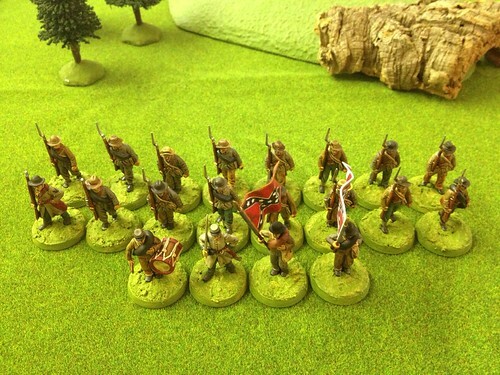 I painted up some individually based command figures as an alternative to the group for Saga. I also made some standard bearers as a bit of extra bunting always can come in handy! Like many things in life my interest in the Vikings goes back to childhood. Reading the Norse myths followed by the Ladybird book of Alfred the Great triggered an interest that was rekindled at various points in my life. Principally when studying English Medieval History at school and university, then the fiction of Michael Scott Rohan, followed by Bob Calvert’s Lucky Lief and the Longships album. And of course reading the Penguin translations of the sagas! Exhibitions, museum displays and visiting sites like Whitby all played their part in keeping my interest alive. As did films like the Hollywood classic with Kirk Douglas and Tony Curtis in and more recently various documentaries on on TV. Despite this interest I didn’t make any model Vikings until my mid twenties. I confined myself simply to one set of Golberg zinnfiguren Vikings while recovering from an illness. However, not many years later I was tempted by the Wargames Foundry range of figures. I painted a few Vikings and Normans but with no sign of the range being finished nor finding a set of rules I enjoyed I sold the figures. In the 1990s I tried 15mm and DBA. 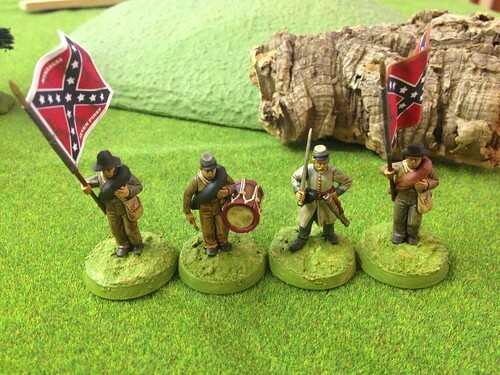 I enjoyed painting the Donnington Miniatures figures but the games were not really satisfying, so I sold the armies. 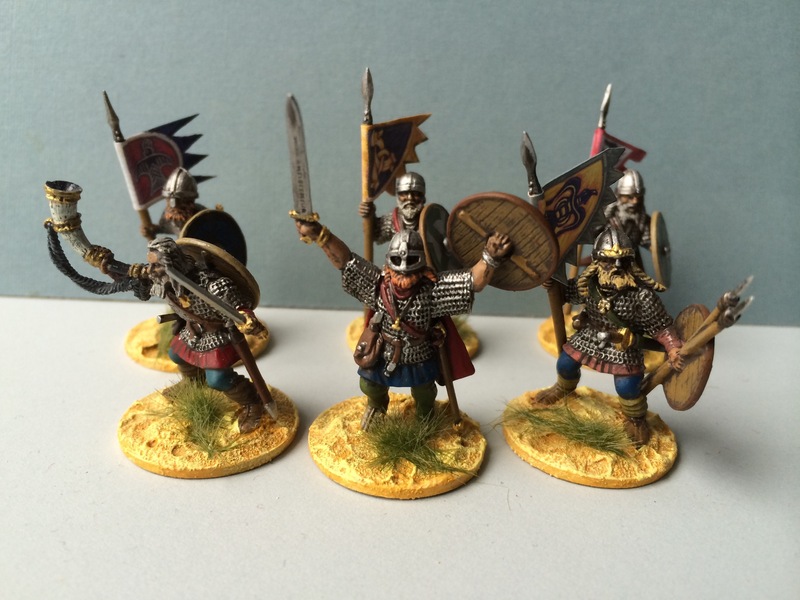 Some years ago I got enough Wargames Foundry Vikings for a skirmish force but didn’t find any rules to suit the saga style games I had in mind. Recently I tried some 10mm Pendraken figures. They were great models with plenty of variety but the thought of painting enough for a large game was too much. So they went on eBay. Happily for my Norse ambitions the Saga rules appeared. They met my desire for saga inspired character and my painting threshold as only a few figures are needed. So rules purchased along with plastic Vikings from the ever helpful chaps at Gripping Beast. 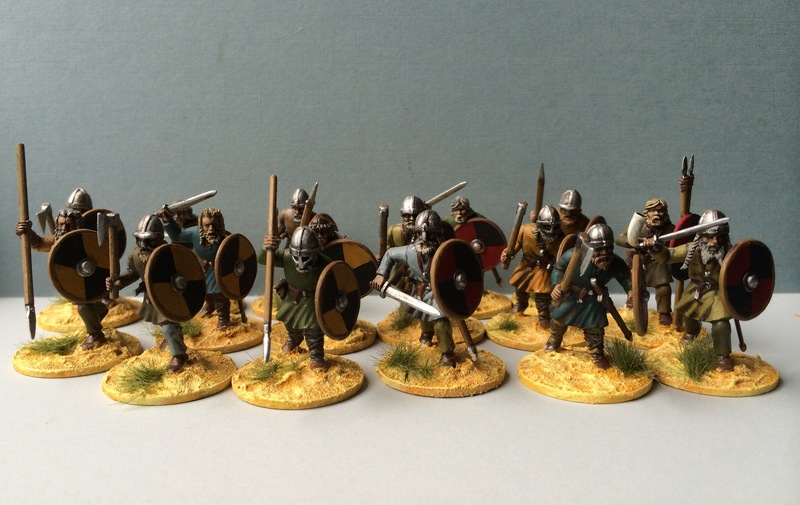 Vikings are assembled and ready for painting, with Anglo-Saxons up next.